I shot this one, and then thought I wanted to recompose to get lower and wider. By the time I did that, the sun was too high in the sky, and was flaring across the filters and lens pretty badly… So this ended up being the keeper of the morning. That looks like a painting! Wow. 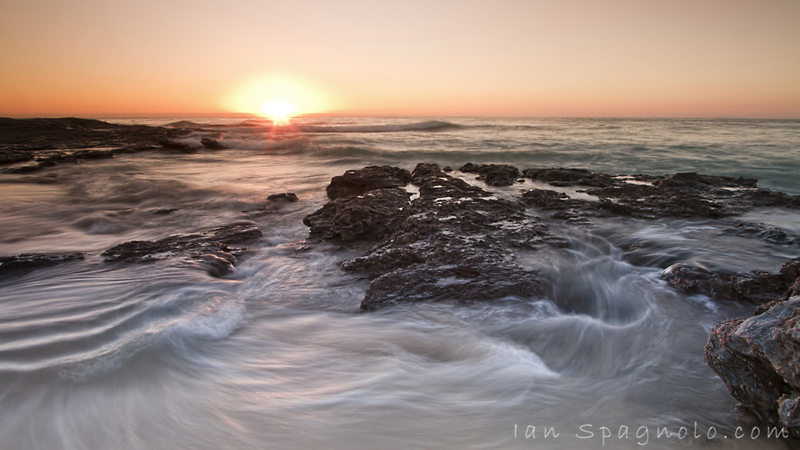 Great image Ian, I think getting these shots makes it easier to get up in the morning, love the long exposure and the way the water has come out. That’s the problem with sunrise and sunset shots, you don’t get much time before the light changes.